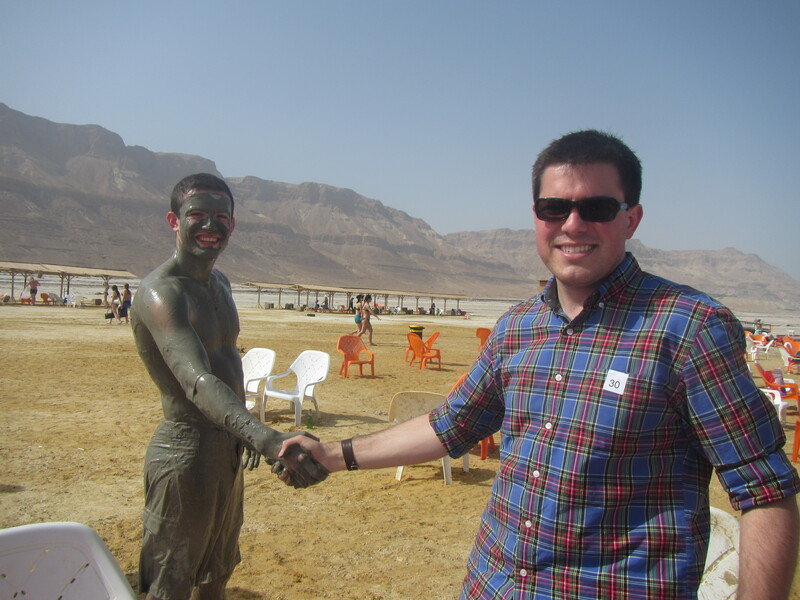 I was so excited to finally reach the Dead Sea, but we had one more business stop before it was time to relax. 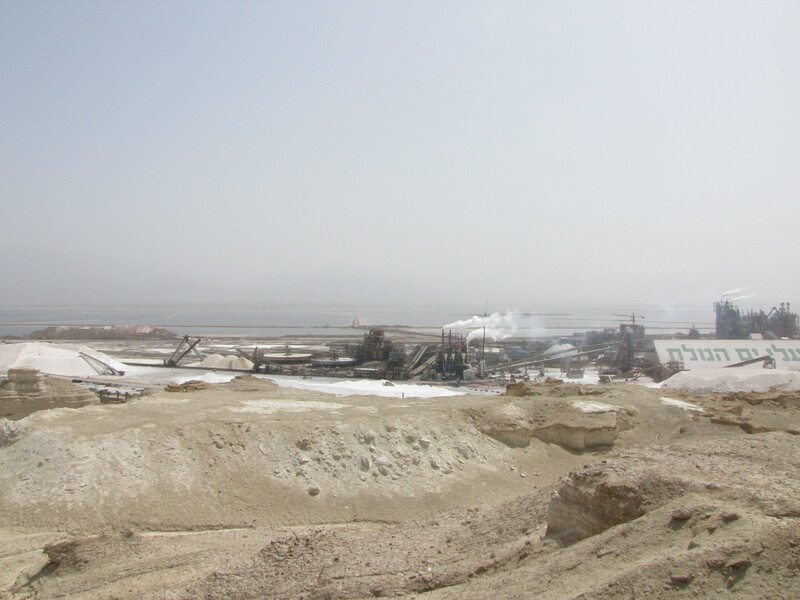 Dead Sea Works has been located on the coast of the Dead Sea since the 1930’s and is the fourth largest producer and supplier of potash products. 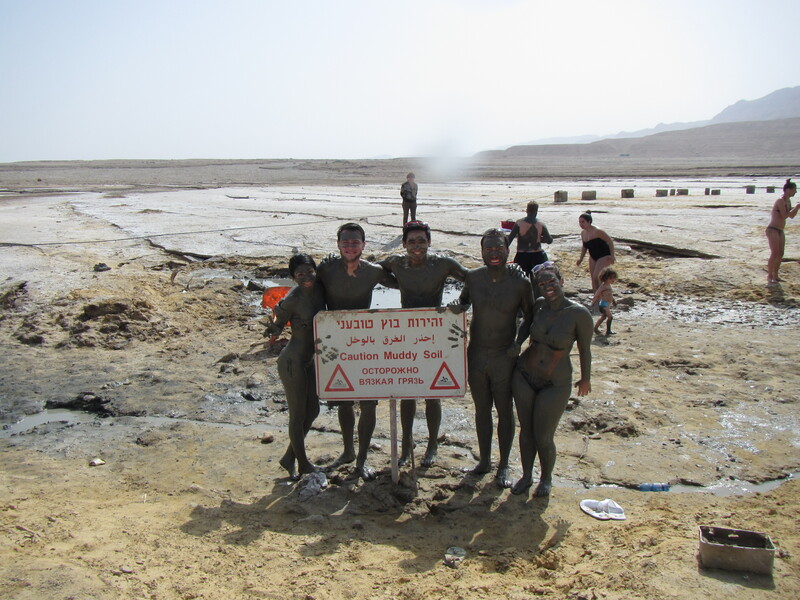 Dead Sea Works exports magnesium chloride, industrial salts, raw materials for the cosmetics industry, and more to customers in over 60 countries. 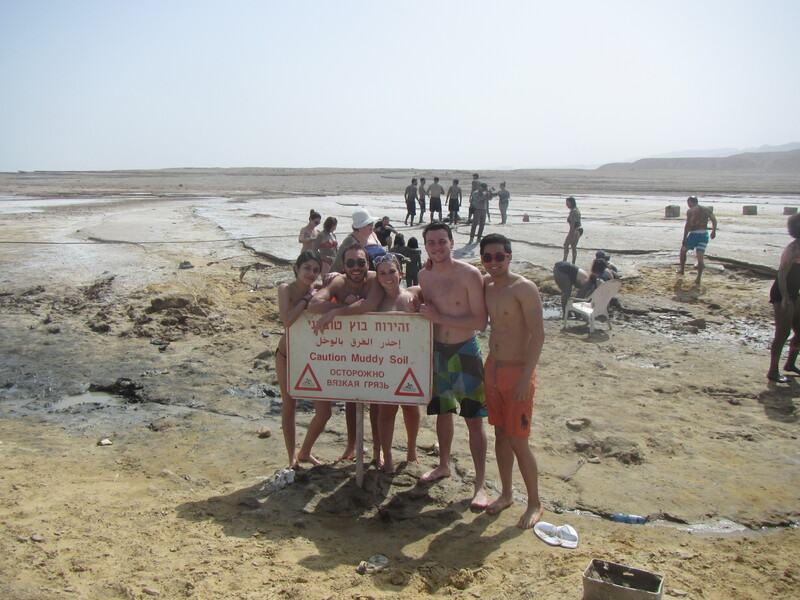 Dead Sea works does not mine these minerals directly from the Dead Sea but instead uses evaporation ponds and with the help of the sun, the salt crystallizes and can then be easily extracted. 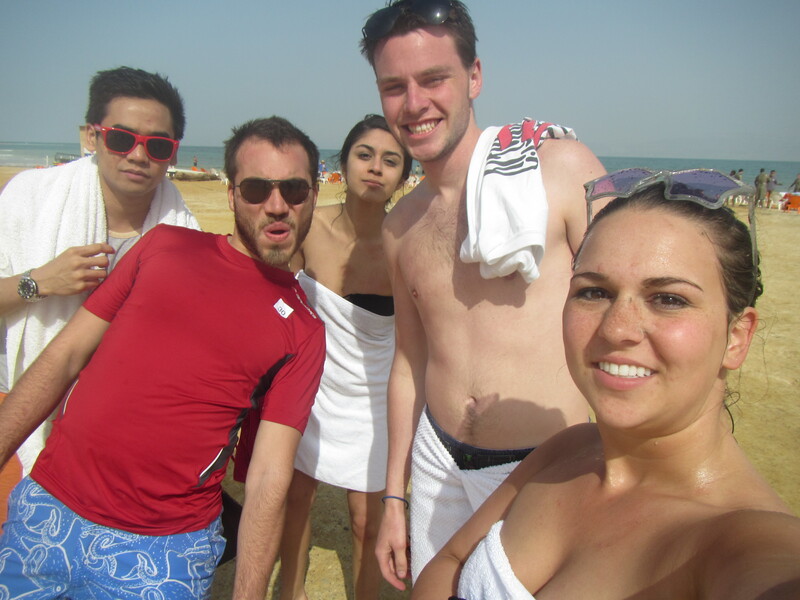 Finally, it was time to change into our swimsuits and do some floating! 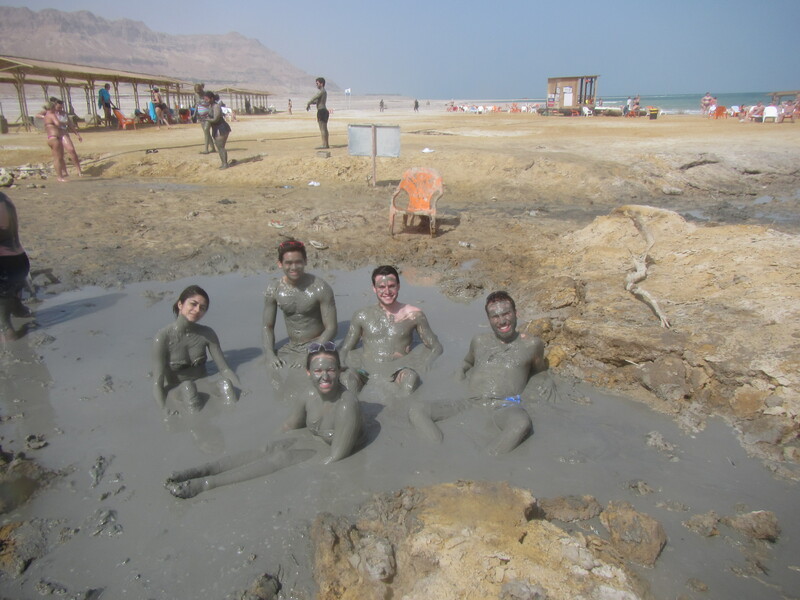 By the time we reached the Ein Gedi Spa we were all suited up so we grabbed our towels and raced for the shuttle. 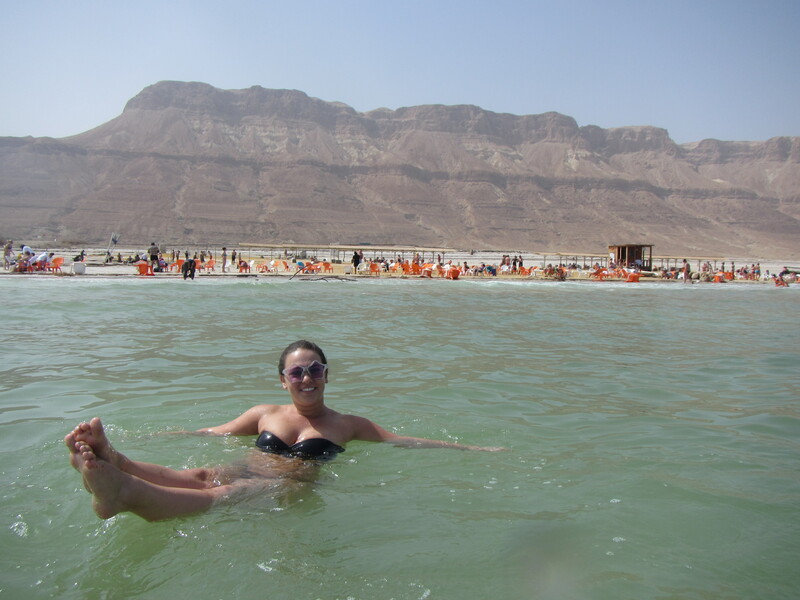 The Dead Sea is located 400 meters below sea level and the Ein Gedi Spa is the lowest spot in the world. 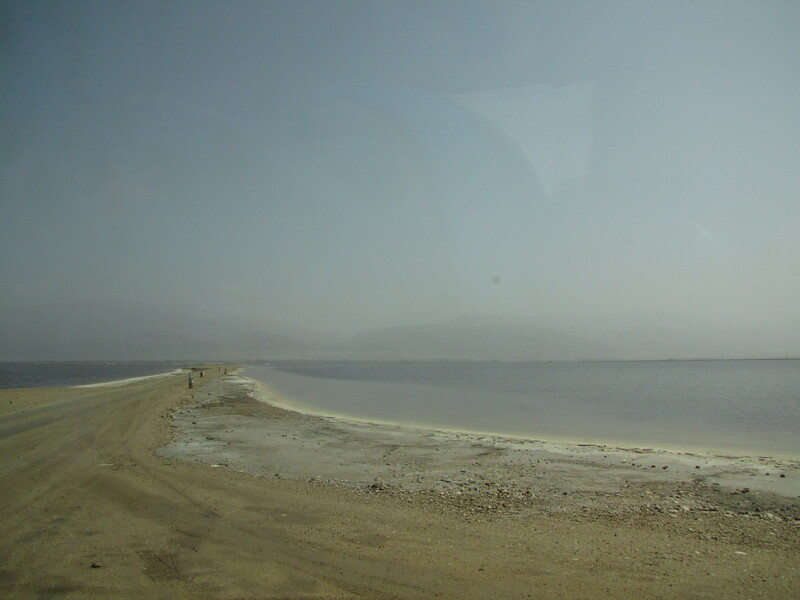 The Dead Sea is 306 meters deep and the salinity of the water is measured to be around 34.2% making it 9.6 saltier than oceans. 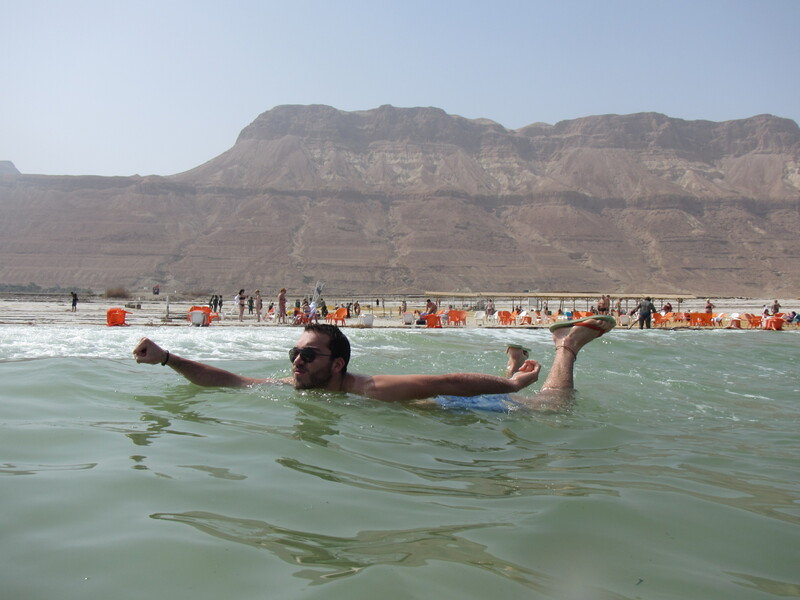 Because so many companies are extracting from the Dead Sea, climate change and a variety of other factors, the Dead Sea has been shrinking and evaporating year after year, and there is no knowing how much longer it will be here for. When the shuttle dropped us off we still had another quarter mile to walk before we reached the water. We left all of our belonging on the beach chairs, except for our hotel slippers to protect our feet from the rocky, crystallized salt floor. 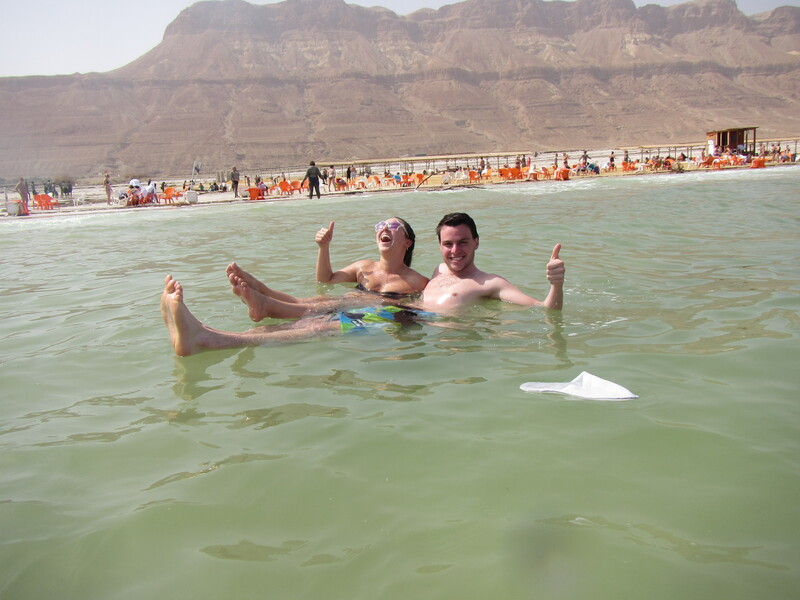 While I was floating, I accidentally flipped over and flooded my eyes and mouth with the vile salt water. Not being able to reopen my eyes, I decided to get out and try to flush them with my water bottle. 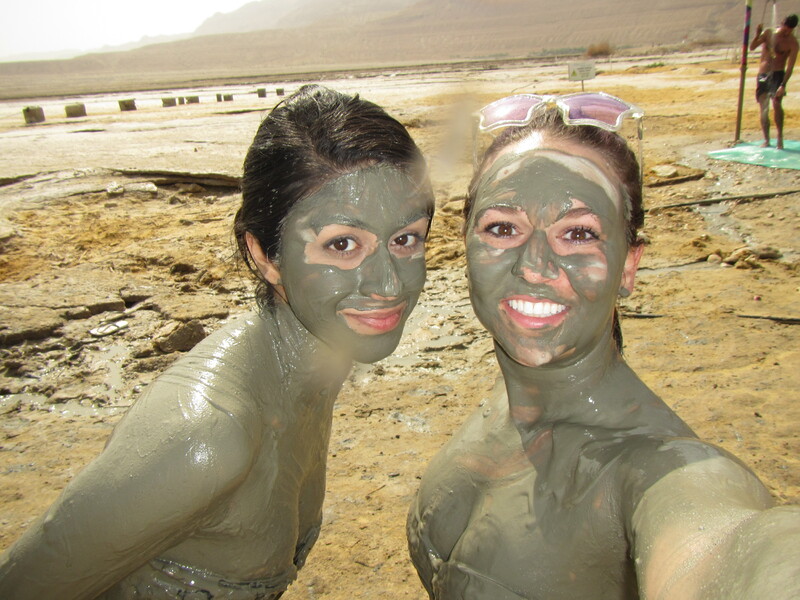 Instead of going back in we agreed to take advantage of the natural mud bath and exfoliate our skin. We were a little confused at first but after observing for a couple of minutes we figured the best way to do it was just jump in and figure it out. 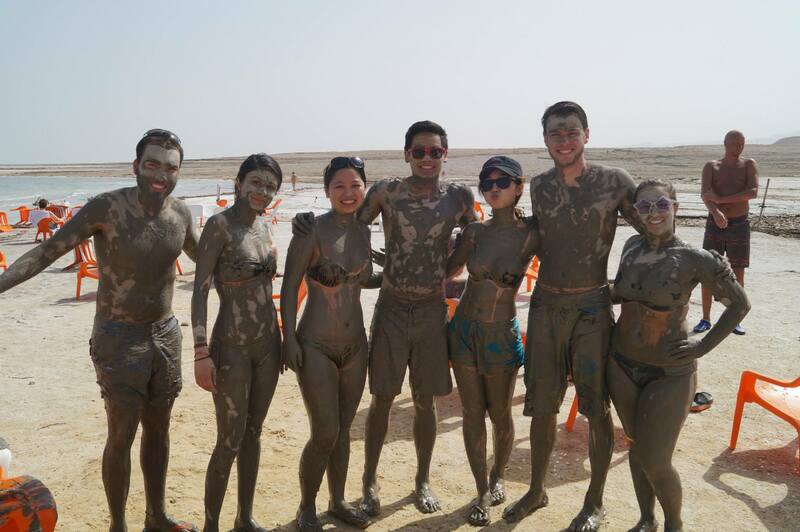 After waiting 20 minutes for the mud to dry, we all washed off, went for a final float and gathered our things to catch the shuttle. The day was so relaxing and was just as incredible as I imagined it would be. 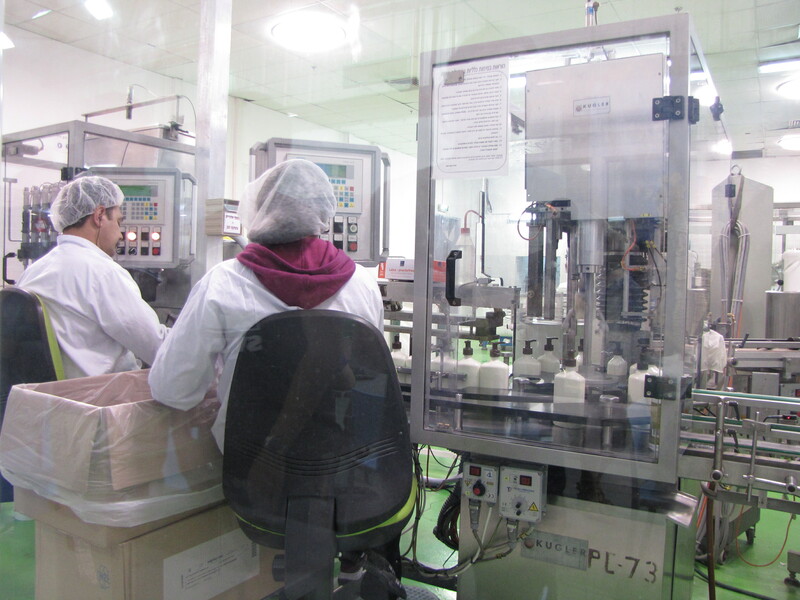 Our final business stop of the day was to the Ahava cosmetics factory, in the West Bank, where we had the chance to learn about the different minerals harvested from the Dead Sea and how they are used in the different cosmetic lines for different ages. 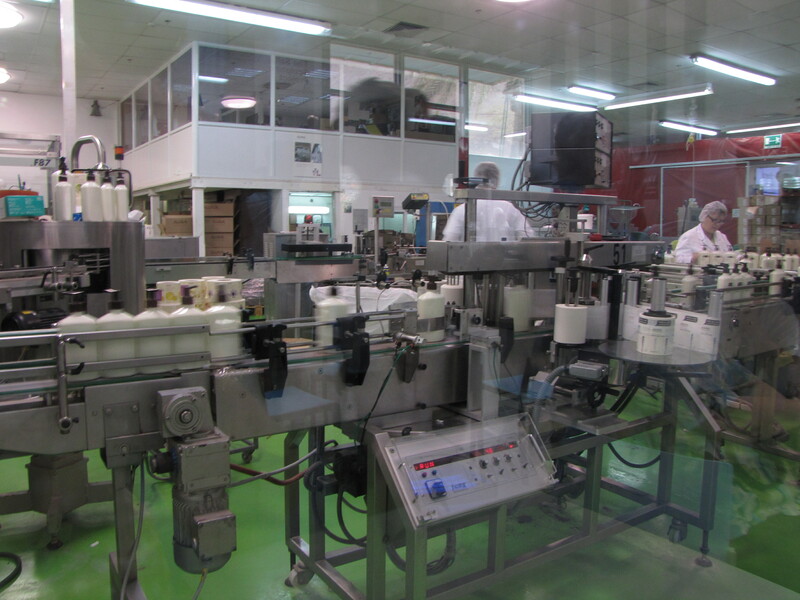 We also got to watch the production line in the factory and were able to observe machine processes, human involvement and made assumptions about where the bottleneck is in the system and what could be improved. 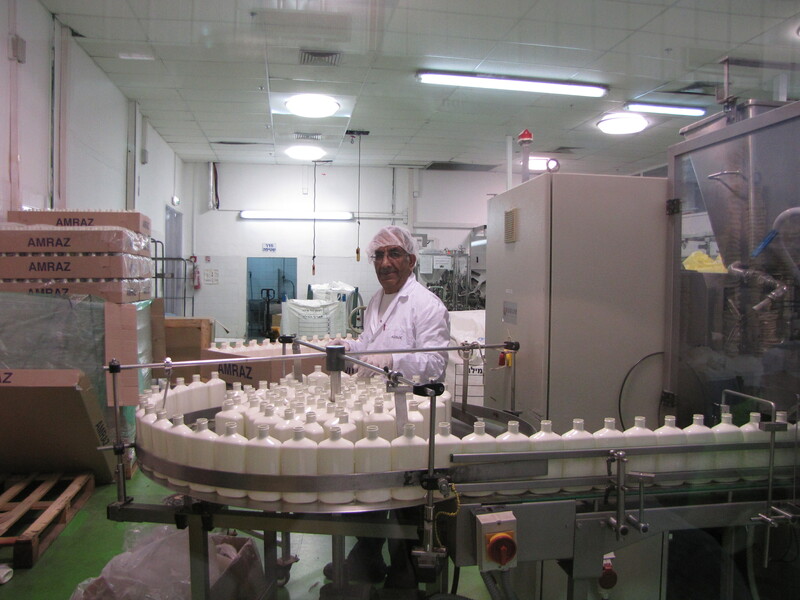 Interestingly, there is been controversy over Ahava products because they are labeled as Made in Israel, however the resources are harvested from Palestinian territory. 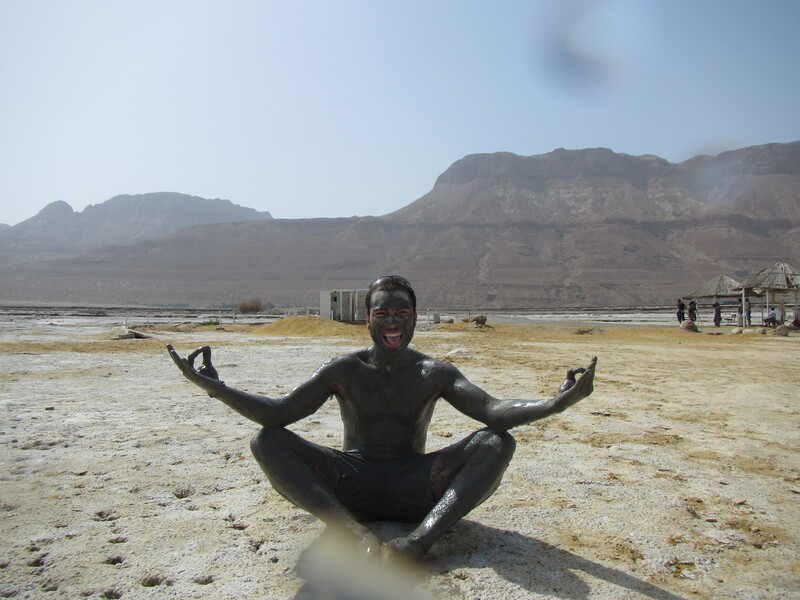 The sun took a lot out of all of us and the bus was silent for the hour ride to Jerusalem.